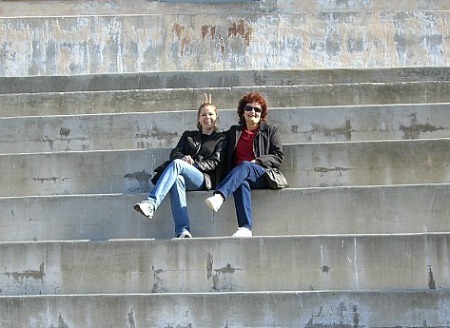 Hi and welcome to SFTourismTips.com. I'm Jill Loeffler and I'm the founder of this website. I'm a San Francisco local that has lived here for more than a decade. 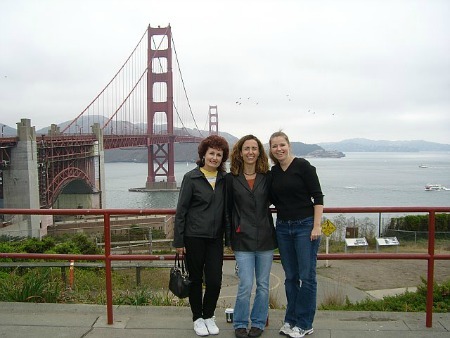 Before I moved to SF, I had the chance to visit several times. Every time I visited, I knew it was a place I wanted to live. In 2003, I received an offer from my employer to move here. It was the opportunity of a life time for me and I quickly packed my bags and headed west. My first home was in the gorgeous Pacific Heights District. This district drew me in as I loved its beautiful Victorians, million dollar mansions, and gorgeous parks. To me, it was (and still is) a classic San Francisco neighborhood. After living in the district for a year, I thought it was time to check out the other neighborhoods. I moved to Noe Valley and just over a year later, settled in Nob Hill. During my first few years here, I continually explored the city. I loved the fact that I could always find new adventures. Every year, I grew to love this city more and more. In 2009, I decided I wanted to share my love of the city with others. This is when SFTourismTips.com was born. Due to a full time job, I was only able to work on my site part time. Every spare moment, I went out and could be found visiting SF's attractions, museums, and attending the amazing local events. As the site grew, I knew it was time to give it more attention. In 2011, I quit my corporate job and started focusing all of my time on this site. This gave me the time I needed to keep up with new events and changes in the attractions. It also allowed me to visit more often and pick up more insights for the visitors that come to my site. In May of 2013, I was taking pictures at a parade in the Mission District. The parade started late, so I was sitting on the sidewalk by myself waiting for the festivities to begin. This is when I met the guy that would become my fiance. He asked if he could sit next to me and, of course, I said yes. As we waited for the parade to start, we had the chance to talk and get to know each other. This chance encounter led to him asking me to marry him in July of 2014. We also both love to travel and we have had the chance to explore many new places including Malaysia, Mongolia, Turkey, Greece and even as far away as China. 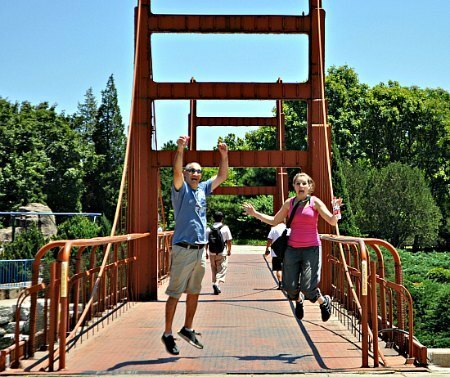 In fact, this is us at the "mini" Golden Gate Bridge at the World's Park in Beijing. Each time we travel to a new place, we better understand the obstacles when people visit a place they've never been to before. I use this knowledge to improve SFTourismTips.com and make sure you don't face the same challenges when you plan your trip to San Francisco. One of the questions I often get from family and friends is, "What is it like running an online business?" Everyone wants to know if it's possible to do it full time and how much effort I have to put into it in order to make it work. Let me answer that for you: When I first decided I wanted to start a website about San Francisco, I was lucky enough to run across a company by the name of SiteSell. They are one of the only companies I could find that would give me the tools I needed to build a site and also the education I needed to successfully build it into a profitable business. As I mentioned above, I started this site in the summer of 2009. I've learned so much along the way and would not have been able to provide such a meaningful and educational site without the help of SiteSell. If you are interested in building a business online, I highly recommend starting with them. Click here to learn more about my experience with SBI!. They will give you a complete education on how to build a successful online business. Something that truly made my experience with them invaluable was their supportive, engaged, and massive community of users that always answer any question that comes their way. Please feel free to reach out to me if you have any questions about my site. I'm also open to discuss opportunities to support local businesses as well as answer questions about what it's like to run an online business. Drop me a line through my Contact Me page. Thank you for stopping by and visiting SFTourismTips.com. If you enjoy what you see, join me on my Facebook, or Pinterest page. Also, please share my site with any of your friends that live in or might be traveling to San Francisco soon!